For great performance at a low cost, acrylic sealers are a good choice. Available in both solvent- and water-based formulations, acrylic sealers are ideal for projects where easy application and economy are important. They can be used on both interior and exterior surfaces to form a thin, protective film that provides good protection against water and chloride intrusion while permitting moisture in the slab to escape. They are also UV resistant and non-yellowing. Available in a range of sheen levels, they also can be used to enhance the beauty of colored, stamped or exposed-aggregate concrete. Exterior surfaces, to provide good protection against water and chloride intrusion. Fast-track projects, since they dry to the touch within an hour. Acrylics are usually much thinner than polyurethane sealers and epoxy coatings, so they wear faster and usually require reapplication sooner. Solvent-based acrylics generally perform better than water-based products for outdoor use and will enhance the color better than water-based products. On indoor surfaces, acrylic sealers usually require regular maintenance with several coats of a sacrificial floor finish, or wax, to prevent wear and black heel marks. Use these high-build sealers to produce a very durable, chemical-resistant finish. Polyurethanes sealers are nearly twice as thick as an acrylic sealer and form a high-build protective film on the concrete surface that provides excellent resistance to abrasion and chemicals. They are available in water- and solvent-based versions and a range of sheen levels. 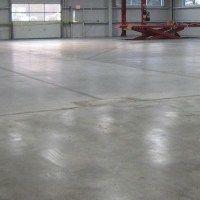 They can be used on both interior and exterior concrete to impart a transparent, non-yellowing, highly durable finish. Most polyurethanes are moisture intolerant until they cure, so they should not be applied to surfaces if any water is present. A chemical reaction will occur that results in foaming and bubbling. They also don’t allow for moisture vapor to move out of the concrete, which could present problems on some exterior concrete surfaces, such as driveways. How to apply. Polyurethane sealers require more care when applying compared with single-component sealers, such as acrylics. Avoid applying water-based polyurethanes with a garden-type pump-up sprayer, since they don’t reach the level of pressure needed to achieve a thin, even spray pattern. Instead, use a low-volume, high-pressure airless sprayer. Polyurethanes can also be applied with a microfiber mop, using a push-and-pull motion to get thin, even coverage. A new polymer for one-day floor toppings and countertop sealers. Every so often you hear about some new wonder material that sounds too good to be true and that’s usually because it isn’t true. 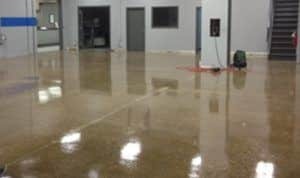 Recently there has been a lot of talk about a miraculous new concrete floor coating and sealer called polyaspartic polyurea. This material, according to its proponents, can be applied at nearly any temperature, bonds easily to nearly any concrete surface, cures to full strength within half an hour, is flexible enough to bridge small cracks, can withstand high temperatures when cured, and has superior stain and UV resistance. So, you’re asking, is all that really true? After talking to many people, both believers and skeptics, I believe that the simple answer is, yes, it is true-BUT. 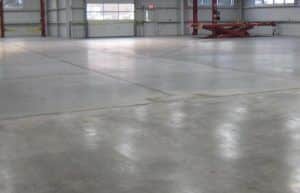 The big “but” is that you must properly prepare the floor and the moisture vapor emission rate can’t be too high and you need to have the proper solids content in the polyaspartic coating to allow it to wet out the concrete surface in order to develop a proper bond. When those conditions are met, polyaspartic floors are extremely successful and an experienced contractor can indeed complete a floor in a single day. But-another but-when moisture vapor emission rates are too high and when using 100% polyaspartic coatings, some floors have failed. Here, we’ll give you both sides of the story and discuss the applications for polyaspartics, ranging from a new way to topcoat decorative concrete floors to sealing concrete countertops. Superior abrasion resistance and a high-gloss sheen make epoxy sealers ideal for high-traffic floors and concrete countertops. 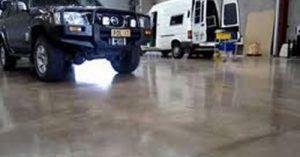 Epoxy sealers form a high-build protective film on the concrete surface, producing a hard, long-wearing, abrasion-resistant finish. They also offer excellent water repellence.They are available to clear or pigmented if you wish to add color. Most products impart a glossy finish. Epoxy sealers are much harder than acrylics. Water-based epoxies bond well to concrete and provide a clear finish, but they are nonporous and do not allow trapped moisture to escape. Penetrating sealers provide excellent protection against outdoor conditions. Penetrating sealers, such as silanes, siloxanes, and silicates, penetrate into the concrete to form a chemical barrier that shields against moisture penetration and deicing chemicals. Usually, they provide invisible protection without changing the surface appearance, and most products are breathable, allowing moisture vapor to escape. They are most commonly used outdoors since they provide excellent protection against harsh exposure conditions. Protect exterior concrete surfaces subject to corrosion and freeze-thaw damage. Obtain a natural, matte finish. For driveways and walkways where good traction is important, a penetrating sealer is a better choice than a film-forming product, such as an acrylic or polyurethane. Because a penetrating sealer does not leave a glossy film, it will not contribute to the slipperiness of the concrete surface.